This is where I'm at so far. I've been working on this thing for about a month now. I still have about 5 more inches to go until I get to the neck shaping, then instead of knitting in the round, it starts going back/forth which I'm sure I will hate. Then the sleeves. 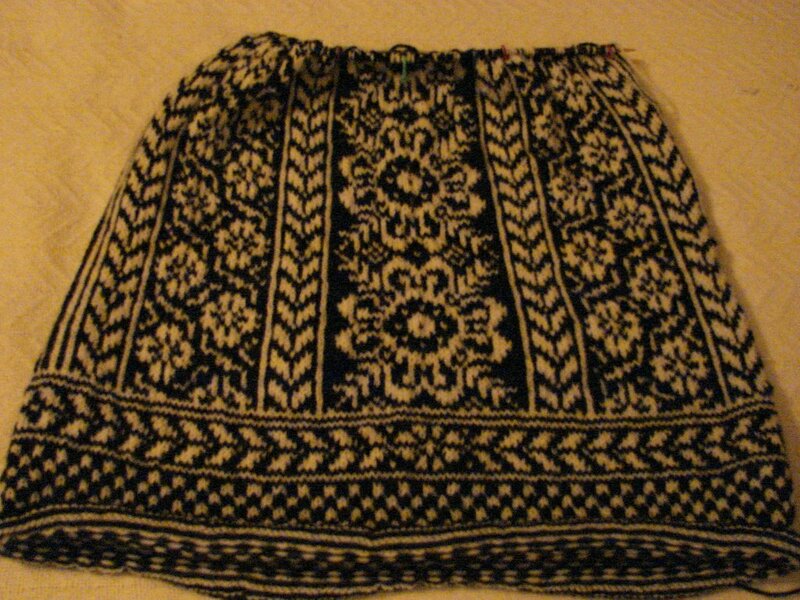 I will keep you updated on progress with this sweater. It looks pretty neat though, I think. This is really the first time I've knitted a sweater in this technique. 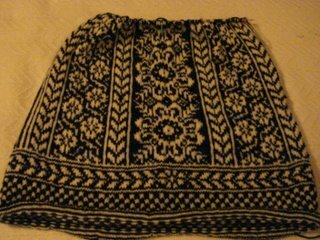 I've done a few bags and a few sweaters with just a bit of the colorwork on the neckline or yoke. This has been a challenge so far, but I love it! All I can says is WOW WOW WOW WOW -that is the most amazing thing I've ever seen - I will never be able to do that - never! Can't wait to see this one in real life! No, you will not be able to wear it here - good thing mom lives up north huh????? ?